Vintage Laguna Collar Necklace of Pastel Givre Glass Beads Triple Strand. 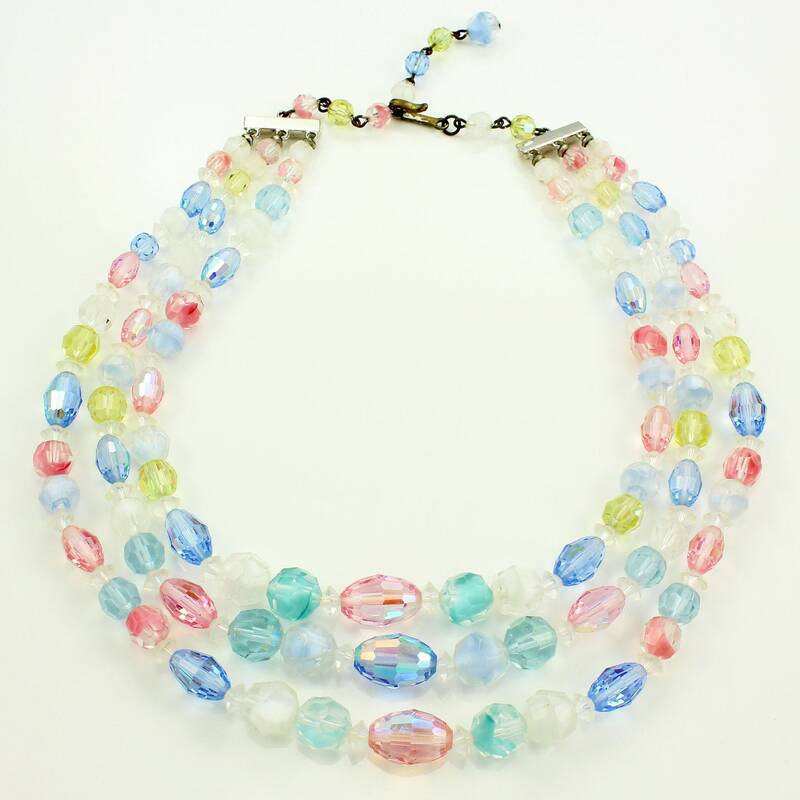 This 1960's necklace features three strands of faceted crystal beads in shade of pink, white, baby blue, yellow, turquoise, and clear. Some of the beads have aurora borealis finish and others are art glass beads with givre pattern. The strands are finished with rhinestone-set silver tone bars and the neckalce closed with a hook. Adjustable in length from 14 to 16 inches in length. The largest bead measures 10 x 16 mm. In Very Good Condition, with very minor surface scratches and discoloration to the hook.